Thelypteris palustris.Janet Novak. ct-botanical-society.org. (Accessed 6/2014). 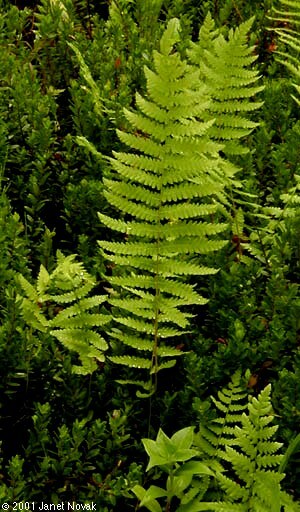 Thelypteris palustris is a fern from a slender, creeping rhizome, colonial. 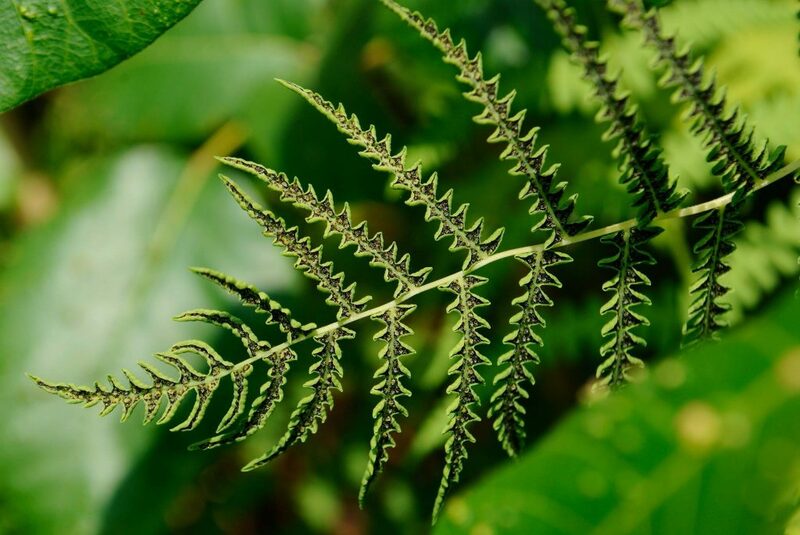 Leaves arising singly along the rhizome; to 80 cm long, stalk to 35 cm long, on sterile leaves, to 70 cm on fertile leaves (longer than blade), black at base, smooth; blade to 40 cm long, 20 cm wide, tip tapered, base slightly narrowed, once pinnate-pinnately lobed, leaflets (pinnae) to 2 cm wide, lobed almost to leaflet midrib, lobes, to 1 cm long, 0.5 cm wide, midribs and veins hairy, margin smooth (entire); fertile lobes with margins curled inward. Thelypteris palustris.sporophyll. Zihao Wang.Jamaica Bay, New York City. W.L.R.9/2015 (Accessed 4/2017). Spore cases numerous, on upper leaflets of fertile fronds near midrib, eventually back of leaflet becoming brown with ripening sori. Habitat: Open marshes, pond edges, wet soil. Not very tolerant of shade.